Im writing this fanaccount after 3 years 7 months, (The fan uploaded this fan account in 2013.) because i was a saseng fan and i felt this is too private, so i only talked briefly about this even to my friends, and did not record it down properly. But since a long time has passed and many things dont matter anymore. So im writing it down now when i still have the passion and when i can still remember. Just to serve as a memo about what i saw. It was during ss501’s Hanam University festival schedule in Jeju on 21st May 2009. Originally i was just planning to send them off at airport. However in the end i couldnt help but bought plane ticket. I took the flight after their flight. What happened afterwards was just per normal. Rushed out of airport, squeezed through the crowds, sat at first row despite of the groans from those ajumas. Watched their performance and screamed. Haha and also it rained when they came out, everything was going as per normal. Then we were looking fot their car as we wish to wave goodbye to oppas. But we failed to find as there were too many people. Just when i was feeling disappointed, a Hyun Joong noona fan who came together saw one of the managers who seemed to be going off to meet the rest of the group. So once again, we were very thick skinned and took a taxi to follow. Very luckily, we managed to get to the villa where they were staying at. Of course we dont dare to enter, we just found a guesthouse nearby to stay. At night, we saw them heading out to play through our room window. It was the Ur Man group. Hyung Jun seemed reluctant and was pushed into the taxi by Kyu Jong. We did not follow them out. A few of us just hangout at the beach and wrote ss501 on the sand. I went to search the name of the beach, it was hyeopjae beach. The next day, we were just planning to go tonthe beach, have breakfast and see them off to the car. Since we secretly followed them here, we feel embarrassed and scared to show up in front of them. However, i dont know if we were too lucky or what, several fans of Hyung Jun and a fan of Hyun Joong happen to meet the two of them in the morning when they came out to eat ramen. We were so surprised and excited but we were afraid to approach them, so we just hid in the corner and watched them. (However they already saw us) they sat across from each other and ate ramen. After finishing ramen, Hyun Joong naturally got up and went into the shop to pay. (By the way they sat outside at the wooden table to eat,they sat facing each other). There was only Hyung Jun left who smiled and waved at us friendily. We felt that he was in good mood so we approached him and asked for autographs. We also asked if they saw the words SS501 written on the beach. He expressed in shock that he thought it was done by their staffs, he didnt know if was written by fans. When he was signing the second autograph, Hyun Joong came back, hyun joong didnt come back to the table but walked a few steps and turned back to wait for Hyung Jun. Hyung Jun sensed it too as he took a look at him and then start to sign in a hurry and was saying “he really cant leave me”. We all knew it was a joke but still we felt a bit weird. He finished signing faster than usual, said goodbye and told us to play well. He then rushed off to Hyun Joong who was waiting for him. We didnt dare to follow them. The two of them walked to the beach, they looked at it for a while and Hyung Jun got bored. He picked up some seaweed and dragged it along the beach for a short distance. Then he wanted to throw it into the sea but it broke so he failed. He looked back at us awkwardly. The two of them then continued to walk along the beach for a while. Hyun Joong seemed to have came up with something so he threw his sports shoes into the sea haha. That was why when they returned to Seoul, Hyun Joong was wearing the striped slippers (the slipper that has white stripes on it, while is very common in korea). They played for a while on the beach then went back into their villa. We all felt we were so lucky. The few of us stayed behind on the beach and took many selcas. Then we realised that Hyun Joong came back to find his shoes. We also saw Hyung Jun watching and waiting for Hyu Joong in front of the villa. We felt embarrassed and we went to the side to watch Hyun Joong getting his shoes back. But seems like Hyun Joong didnt like (dirtied) shoes so he abandoned them on the beach and went back. The two of them went back into the villa again. We felt that we shouldnt keep bothering them so we took a taxi and went to wait at jeju airport. We waited until noon and they didnt come, so we decided to go back to gimpo airport and wait for them there. We waited until night and still there was no news. Only then we found out that they left in a hurry this time that they didnt book a return ticket. So they just waited at the airport and came back separately whenever there was seats available. It was very funny. Jung Min came back with a group of high school girls who went for school trip. When he came out and met his manager, his hands covered his chest and was saying he was scared by all the high school girls surrounding him. And Hyun Joong and Hyung Jun took the next flight back for music high, as what fancam recorded. Kyu Jong and Young Saeng came back on the second day it seems. These are what i saw, im thankful for the experiences back then. From the moment where both of them eating together; to the comfortable look on Hyung Jun’s face when Hyun Joong went to get the bill; to the moment where Hyun Joong waited for Hyung Jun and hyung jun hurried finished autographing for fans; then to the time where the two of them stroll along the beach together. Everything is still so vivid in my mind, i dont want to forget any second of it. Then again, it felt like a decade as passed. But still at the very least, them back then, i saw it myself. This entry was posted in kim hyun joong, kim hyung jun, ss501 and tagged 김현중, 김형준, fan account, khj, kim hyun joong, kim hyung jun, ss501 on April 1, 2019 by admin1. This entry was posted in kim hyung jun and tagged 김형준, kim hyung jun, kim hyung jun snapshot, snapshot, ss501 on March 6, 2019 by admin1. Hi, this is hyun-joong.com. We will be holding fansign for first full length album ‘New Way’. Please refer to the below information if you wish to participate! Fansign Schedule: 9th March (Sat) 3pm. 150 people will be choosen to participate. The results of lucky draw will be announced via Sinnara Records Homepage on 2nd March (Sat) 11pm. Participation Method: Purchase Kim Hyun Joong ‘New Way’ Limited Edition CD+DVD) from Sinnara YongSan ET Land Store. 150 people will be picked. Participation Period： 27th Feb ~ 2nd Mar (7pm). Album Purchase Location: Sinnara YongSan ET Land Store (Yongsan-gu Cheongpa-ro 74, Seoul/ YongSan ET Land 4th Floor). Those who got picked will receive fansign numbering at the fansign venue on the event day from 2:10pm onwards (numbers will be given on first come first serve basis). You may enter the venue 30 minutes prior to the event starts. (You need to bring along album and ID). It is compulsory for you to bring the purchased album, ID and ticket number. You may ask someone to purchase the album for you, but on the event day, only the lucky draw winner himself will be able to enter. (For foreigners, please write your name as that in your passport). You can only receive autograph on the purchased album. No double winning is allowed. (means if you get picked more than once, they will not allow that). (You cannot participate in the fansign if you photocopy or lost ticket number, albums purchased for this fansign cannot be exchanged or refunded). The event is subjected to change or cancellation without prior notice. 첫 국내 정규 앨범 “NEW WAY” 발매기념 팬 사인회가 진행됩니다. 당첨자 발표 : 03월 02일(토) pm11:00 이후신나라 레코드 홈페이지에 공지됩니다. 응모 방법 : 신나라 용산 전자랜드점에서 ‘김현중 – [NEW WAY]1만장 넘버링 한정판 CD+DVD) 구매, 구매하신분들 중 150명 추첨. 사인회를 참여하고자 하시는 분들은 공지를 필독해주시기 바라며, 양도 및 복제가 불가능하며 적발 시 이후 모든 이벤트 대상에서 제외 됩니다. 사인회 참여하시는 분은 구매하신 앨범과 신분증, 번호표를 필히 지참하시길 바랍니다. 대리구매진행이 가능합니다. 단, 사인회 당일에는 당첨자 본인만 참여할 수 있습니다. 싸인은 구매하신 앨범에만 받으실 수 있습니다. 본 행사는 진행사 사정에 따라 사전고지없이 일부 변경 및 취소될 수 있습니다. This entry was posted in kim hyun joong, ss501 and tagged 2019, 김현중, fansign, kim hyun joong, kim hyun joong album, kim hyun joong fansign, kim hyun joong new way, kim hyun joong new way fansign, limited edition, new way on February 26, 2019 by admin1. Hyung Jun’s fanclub Pretty Boy held its first ever mini-exhibition on 23rd Feb at a cafe in Hakdong, Seoul. Hyung Jun liked the event a lot and asked to have more of such events in the future. He was saying we can have once every two months, in that case feb, april, june, and august! perfect haha (for his bday). He also said he will be starting youtube soon. During the event, he was asked to choose a display of him that he likes the most. He had a hard time choosing because he love all of them. In the end he picked this one, where he says his hair also looks good in that photo. Hyung Jun asked if he looks better with long hair or short hair. Well of course fans said he looks great with both, so just do whatever he wants to! Hyung Jun says this is like a museum, “hyung jun museum” muhaha. During the event, he eventually shown us his blue hair after fans request, even if its just 3 seconds haha. After taking his cap off, he also felt shy and laughed to himself. Fans said to HJ that he should do insta live more often, so that’s why HJ started to do insta live right there at the spot! Lastly, HJ said “see you soon in Iran” (to an Iranian fan). So a hongkong fan asked “what about hongkong?”. HJ said “okay, hongkong, let’s get it”. Ending off with a photo of Junnie and balloon heart. This entry was posted in kim hyung jun, ss501 and tagged 2019, 김형준, kim hyung jun, kim hyung jun 2019, kim hyung jun blue hair, kim hyung jun fan cafe, kim hyung jun updates, kpop, pretty boy, ss501 on February 26, 2019 by admin1. Actually, on that day the security was really strict, i have never experienced such a strict one before. The moment they saw you with camera or phone, they will ask you to delete everything on it. The stage and lighting for this concert was really so great and ‘magical’ i would say, the light and smoke effects were just amazing. Well, at least i hope they would actually release the official videos of the concert tour so that all of us can see KHJ’s performance. This entry was posted in kim hyun joong and tagged 김현중, kim hyun joong, kim hyun joong new way in busan, new way, new way concert, ss501 on February 25, 2019 by admin1. Do not re-edit and repost without credit. This entry was posted in kim hyun joong and tagged 김현중, kim hyun joong, new way, new way concert, ss501 on February 25, 2019 by admin1. 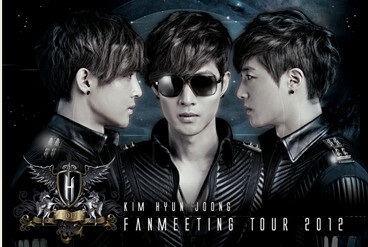 Kim Hyun Joong is making a fast comeback. On 21st Feb, a representative from drama production company revealed that “Kim Hyun Joong will be the male lead for webdrama ‘야식남녀’ (pronounced as yasiknamnyeo)”. In the story, he will b acting as Park Jin Sung who runs a night-time restaurant and who pretends to be gay. The character is ‘Yoseknam’ who has an attractive appearance and loves cooking. The guests can choose the main dish and he will prepare the side dish according to his own style. ‘야식남녀’ is a romantic comedy between a manly man who pretends to be gay and a hot PD who doesn’t know he is a fake gay. It will be a breathtaking triangular romance between a fake gay, real gay and a passionate lady. This entry was posted in kim hyun joong, ss501 and tagged 김현중, 야식남녀, kim hyun joong, kim hyun joong 야식남녀, kim hyun joong new drama, ss501 on February 21, 2019 by admin1.